As the future of 2016 grows from burgeoning horizon, I wanted share a few updates on recent current projects. Last year proved exceptional for my public art mission to interpret, critique, activate and improve the public space of our everyday lives. I had the great privilege of staging my first true solo show with ICA Baltimore at Current Space last spring. 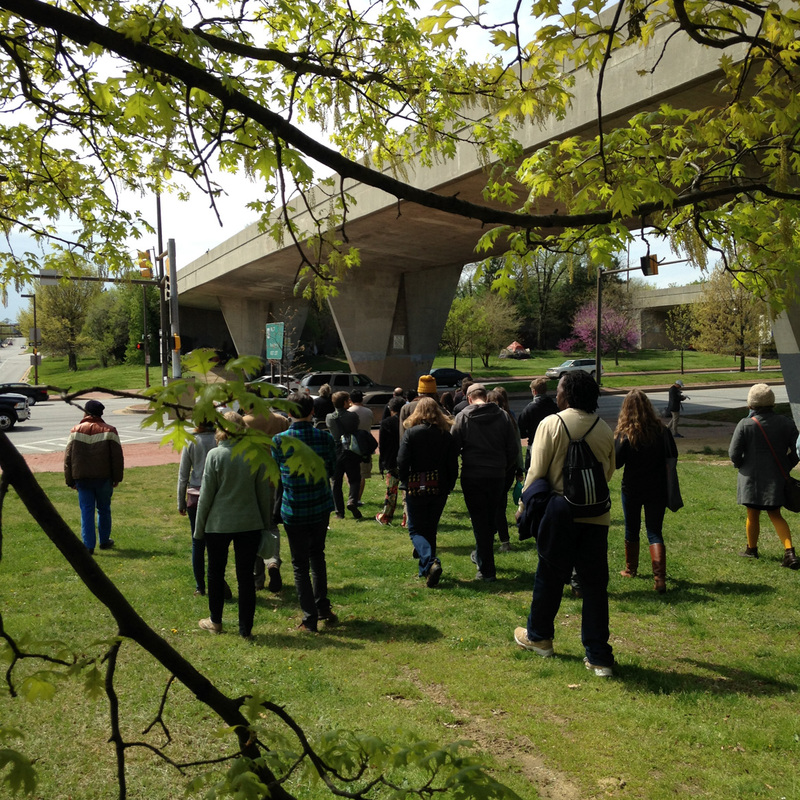 With the support of a Rubys Grant, my show SiteLines was the culmination of a series of radical walking tours I organized in 2014 seeking to understand overlooked public spaces in and around some of Baltimore’s highway foleys and pedestrian malls. It so happened that the show opened just as the Baltimore Uprising began to take shape in the streets. The day of the first major Freddie Gray march, I led 44 participants on my Crossing the Highway to Nowhere tour. As I talked about West Side struggles against top-down planning, a helicopter hovering over the nearby protest split off and followed us as we gathered at the edge of Route 40. After crossing the highway our group began to head back to the gallery, only to run directly into the Freddie Gray march. To join was urgently appropo. On that day a modest crowd of Radical Pedestrians merged with a much larger force of walking movement in our city. Here is what a few others had to say: ArtFCity, Bret McCabe, GBCA, Landscape Architecture Magazine, and BmoreArt. 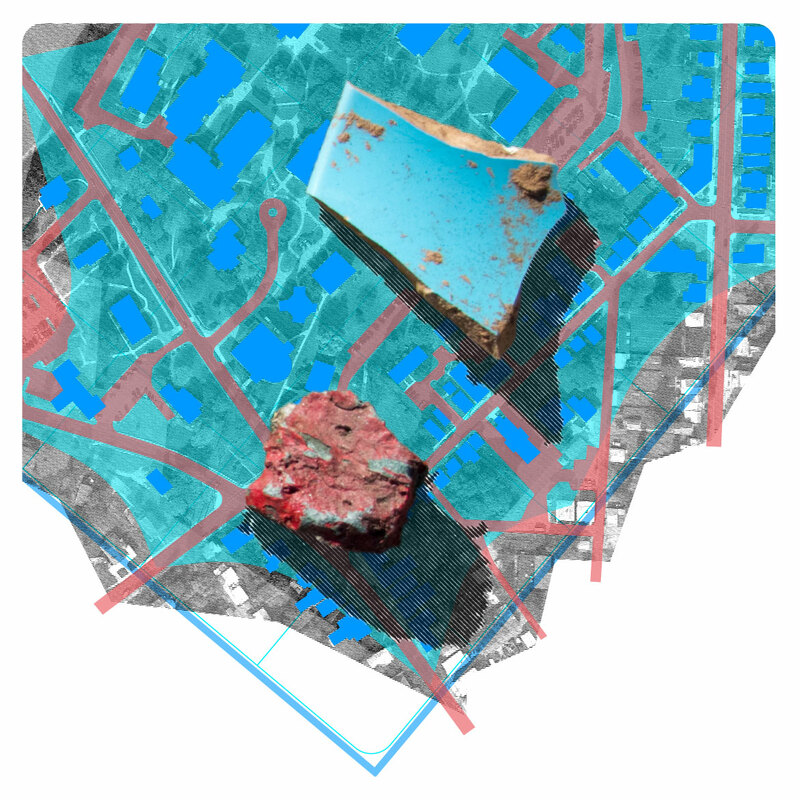 After SiteLines, I was invited to develop a New Public Sites project exploring the invisible sites, contradictory features and historical spirits embedded in downtown Rockville for Come Back to Rockville, a two person show with Naoko Wowsugi at VisArts curated by Laura Roulet. 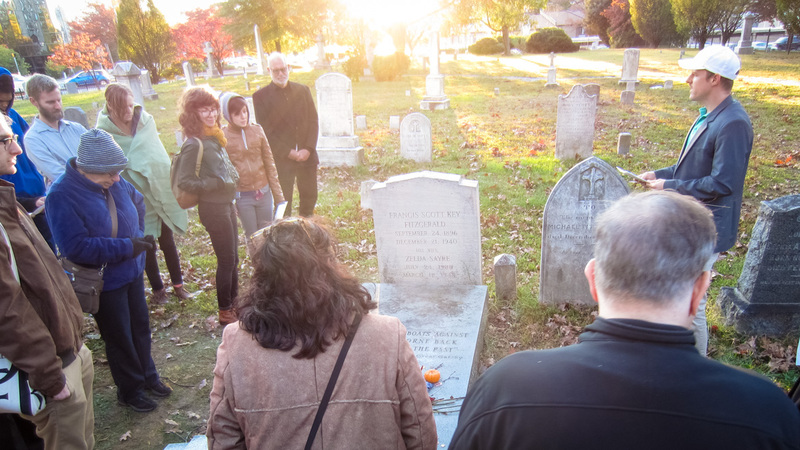 Naming my project, “The Ragged Edge of Rockville”, I created a gallery installation, shot new videos and staged a series of tours in and around VisArts, the Rockville Library, the Beall Dawson House and a special gravesite. Along the way we learned that Rockville twice entirely razed its downtown. What’s since emerged is an uncanny image of pedestrian urbanism embedded with the beginnings of civic spaces while hiding parking garages for car-bound shoppers. Thankfully the various redevelopment schemes spared the town’s historic Catholic cemetery – final resting place for literary icons F. Scott and Zelda Fitzgerald. Meanwhile, Mark Jenkins at the Washington Post took a stroll through the gallery and wrote this review. Immediately following my Rockville drift, I began work on another New Public Sites tour and installation, this time in collaboration with McDaniel College students and residents of Union Street in Westminster, Maryland. 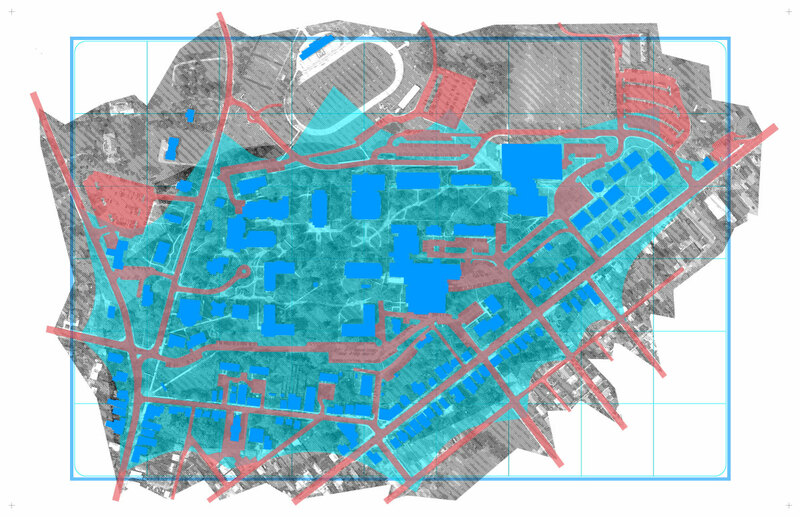 I was honored to have “New Public Sites – McDaniel / Westminster” commissioned by curator Izabel Galliera for her group show Alternative Cartographies. Through a new map, bulletin boards and Shards of Site, we investigated the overlooked yet meaningful public spaces between an idyllic hilltop and historic neighboring streets. New Public Sites are not just in big cities, but also among rural towns and suburbs alike. Rebecca Juliette from BmoreArt still made it up and posted this on the group show. Infinite Thanks for all the support. Let’s keep on projecting thoughts from radical walks through 2016 and beyond. Check back for updates on my forthcoming tour shattering Baltimore’s Inner Harbor Spectacle, and other delightful spring walks. PS: Many thanks also to Baltimore Clayworks and School 33 for the opportunities to lead wanders through Mount Washington and of Baltimore City’s amazing murals. McDaniel / Westminster Wandering Awaits! From Rockville to Westminster, I’ve been keeping busy this fall orchestrating back-to-back tours of Maryland’s sub/urban ambiguity. For those of you living in the reaches north of Baltimore, this next tour is for you! Explore the invisible sites, commanding vistas, and meaningful connections between McDaniel College and Union Street in Westminster, Maryland through New Public Sites – McDaniel / Westminster. 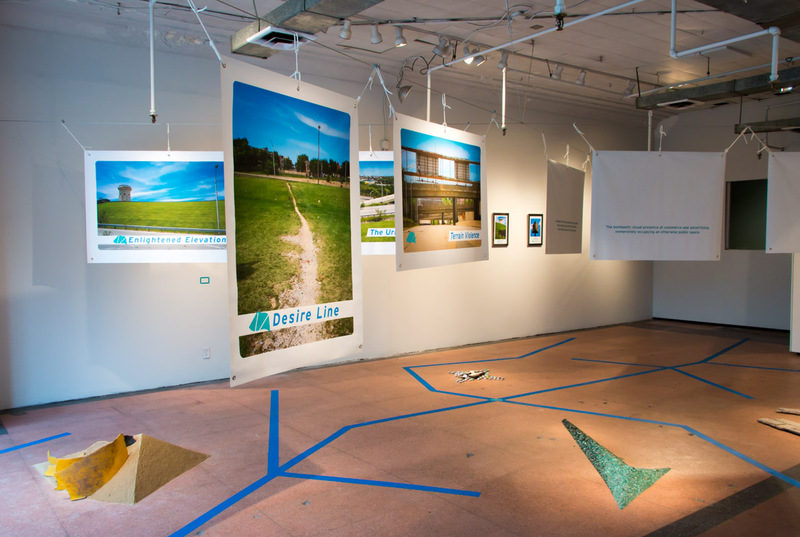 Developed in collaboration with students and residents for the exhibition Alternative Cartographies, this walking tour and multimedia gallery installation investigates the overlooked yet meaningful public spaces between an idyllic hilltop and historic neighboring streets. Featuring sites such as the Epic Embankment, VistaBowl, Sidewalk Signatures, and Boys & Girls Club, New Public Sites – McDaniel / Westminster discovers how pedestrians activate intriguing moments between learning and leisure. Due to rain, the tour has been rescheduled to Monday, 11/23, 11:30am, Rice Gallery. – Graham, 11/18/15 10pm. Be a part of the conversation on facebook. 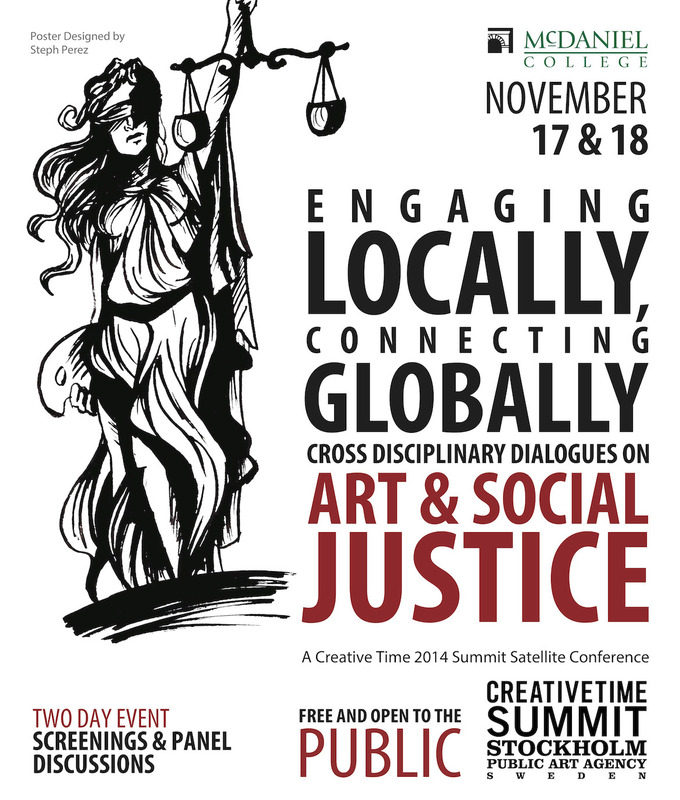 I am excited to be participating in McDaniel College’s CreativeTime Summit 2014 satellite conference next Monday and Tuesday. Organized by the Art & Art History Department in collaboration with Global Initiatives, Political Science and Sociology Departments, and featuring Honors Students this two day event will feature video screenings from the Creative Time Summit followed by panel discussions with invited artists, faculty, and students. I will be participating on the Monday evening panel discussion, “Strategies of Community Engagement and Urban Inventions”. Details below! Video Screening: Creative Time 2014 Summit Panel: “Performing theCity”. Faculty- led Student Discussions moderated by Dr. Linda Semu, Associate Professor of Urban Sociology. Interested McDaniel classes are invited to join in! McDaniel College Panel: “Strategies of Community Engagement and Urban Inventions” moderated by Dr. Izabel Galliera, Assistant Professor of Modern and Contemporary Art. Participants: Graham Coreil-Allen (Baltimore-based artist), Dr. Amy McNichols (Associate Dean of International and Intercultural Programs), Dr. Linda Semu (Associate Professor of Urban Sociology). Student Respondents: Nicole Ringel (Global Fellow and Honors Student), Betty Japinga (Art Major), Lauren Parks (Art Major),Steph Perez (Art Major and Honors Student). McDaniel College Panel: “The Citizen and The Surveillance State” moderated by Dr. Christianna Leahy, Professor of Comparative Politics, Chair, Department of Political Science and International Studies. Participants: John Anderson (Washington D.C. -based artist and Associate Professor at Prince Georges Community College), Hassan Elahi (Artist and Associate Professor, University of Maryland). Student Respondents: Kyle Cholakian (Political Science Major and Honors Student), Noelle Gorman (Honors Student), Mangie Moreno (Art and Communications Major), and Martin Scire (History Major).